We have the fabulous opportunity to participate in a mini-quilt swap with the Atlanta Modern Quilt Guild. This is a great chance for Irish modern quilters to hop on the international scene and show off our creativity. Jump on board! To learn more about the Atlanta Modern Quilt Guild, you can view their brand new website that has TONS of information on their activities. Go on...have a peek....we'll wait for you to come back. 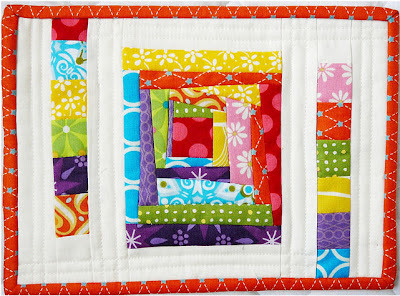 Mini-quilts should be between 12" x 12" and 18" x 18". While participants are encouraged to give input on their favorite colors and design elements, the mini-quilt design is up to the maker. Please add a label to the back of your quilt so the recipient will remember who made the quilt. The swap is open to the Irish MQG and paid members of the Atlanta MQG. In the event of a membership size disparity, swap participants from the larger guild may be assigned a partner in their own guild. Sign-up will be open until May 13. Partners will be assigned and notified the week of May 14th. 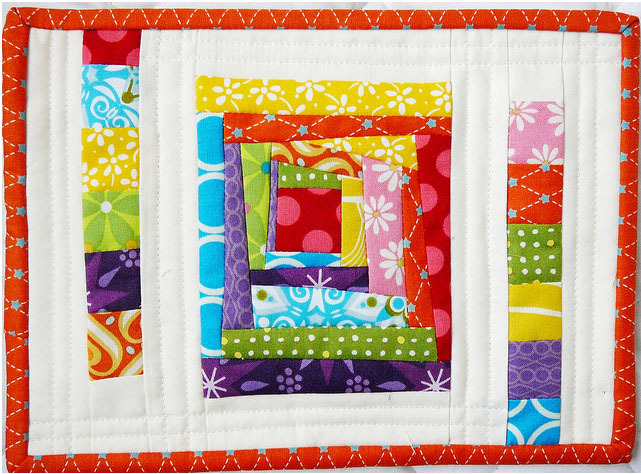 Mini-quilts are due to partners by July 15 (so plan on mailing in early July). For Atlanta members, not finishing and sending your project on time will impact your ability to participate in future swaps with the group. Each member that signs up for the swap will be responsible for shipping charges to their recipient. This is NEW for the Atlanta guild - in previous swaps we've consolidated shipping, but since the Irish MQG doesn't meet in person, this is not an option with this swap. When shipping to Ireland, you will need to need to fill out a customs form at the post office, which takes less than 5 minutes. Shipping estimates for a mini-quilt are $16.95 for an International Priority Flat Rate envelope, as long as the package weighs less than 4 pounds. Shipping costs will vary depending on the size of your project. I'd love to participate! I think I can make a mini-quilt no problem! I have submitted my form! I am so excited, this will be my first mini-quilt!!!!. Ok, thanks Cindy! I got it now... I just didn't read all the way through! In light of the fact I have yet to piece together my first quilt I will pass this time but definately count me in for the next time! On a positive note I only only 5 squares away from completion of my quilt - slowly getting there! YES will go right now and fill out the form, it'll be my first mini!!!!! !